What is Lincoln Road? Where is it? 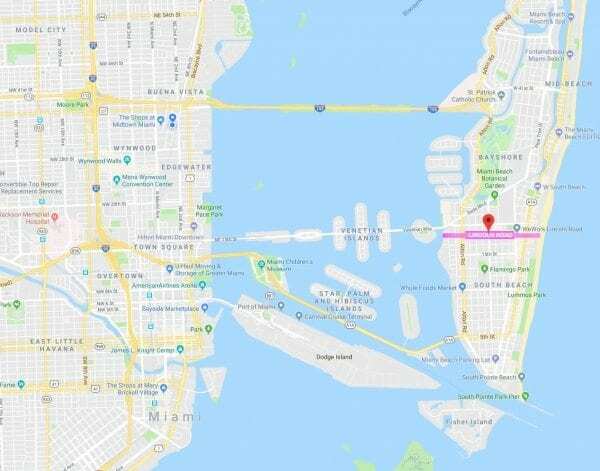 Lincoln Road is located in Miami Beach, FL and is a street that spans 14 blocks East to West between the Atlantic Ocean and Biscayne Bay. 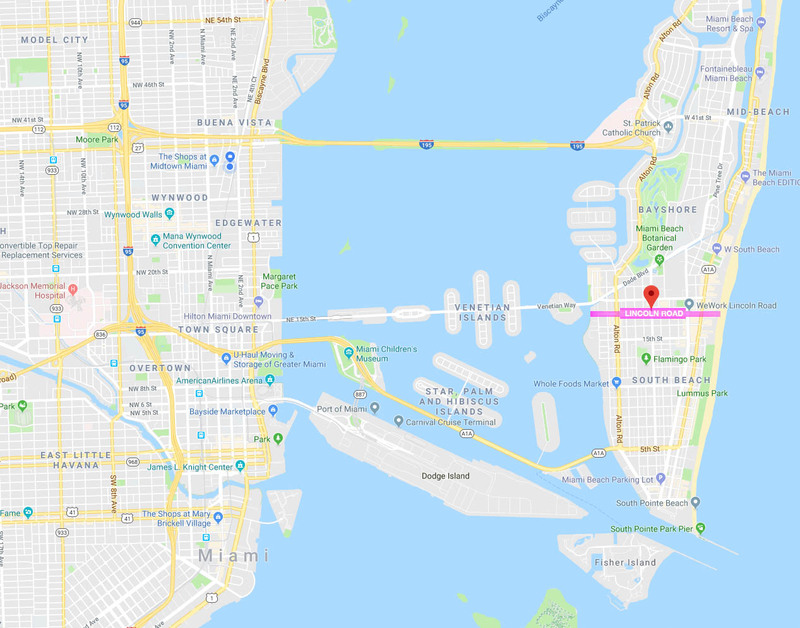 For most of that distance (8 blocks between Alton Road and Collins Ave.) Lincoln Road is a pedestrian mall, closed to traffic. Cross-streets are still open to traffic so please take care of those crossings). Located in the heart of Miami Beach, Lincoln Road is South Florida’s premier pedestrian destination. It attracts millions of visitors from all over the world not just for its shopping destinations, restaurants, and nightlife but also for its architecture and cultural attractions. There’s always something to do or see #OnLincoln! Lincoln Road is a city street and is open to the public 24 hours a day. 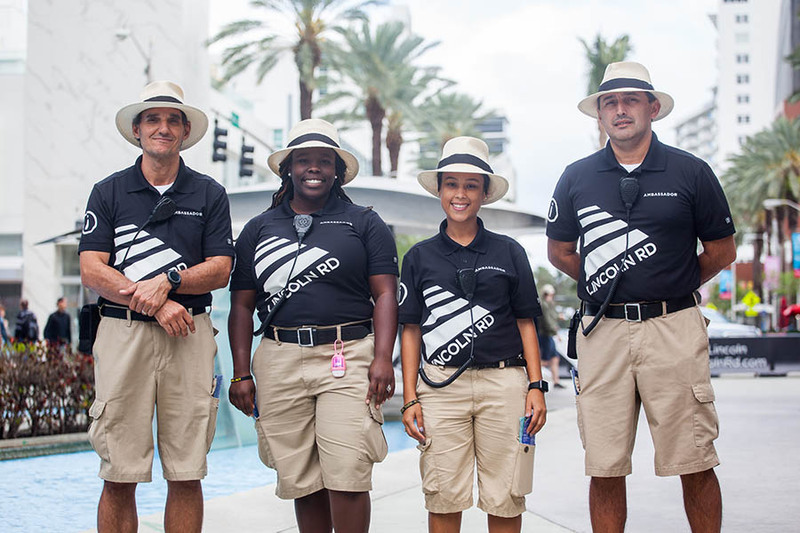 The Lincoln Road Ambassadors are here to help you – look for them in their striped shirts, khaki shorts, and hats – they can help you find your way around Lincoln Road and have tons of local knowledge about things to do! Ambassadors are on Lincoln Road from 7 am till 11 pm. The majority of our Ambassadors are bilingual in English and Spanish. Tag your posts on social media with #OnLincoln and let us know if an Ambassador helped you! 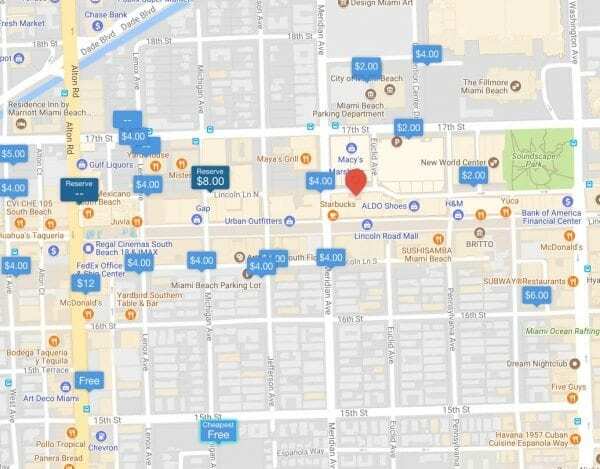 There are numerous parking options near Lincoln Road. These include public municipal garages as well as privately-operated garages and lots. Please be aware of the rates and rules before parking your vehicle. For an up-to-date guide to parking options please check out Parkopedia.